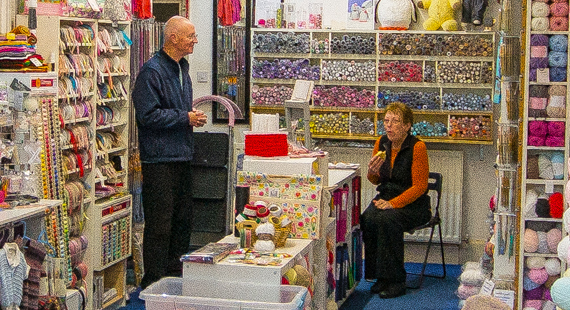 Knit and Natter. Our group meets every week. Please remember it does not matter how: young, old, experienced or inexperienced you are, you will be more than welcome to join our Knit and Natter group. You don’t have to come every week. You are not committed to anything, just come when you want. Tuesday and Wednesday morning at 10:00am – 12:00pm and every alternate Tuesday evening, 7:00pm - 9:30pm. And we don’t just talk about knitting and dropping stitches; we talk about anything and everything. So come along, sit down and relax in a friendly atmosphere and have a cuppa and a good old chinwag!